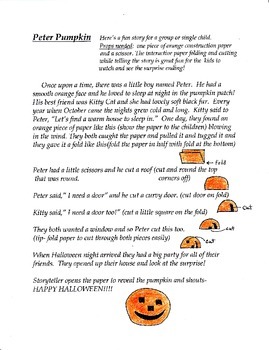 The Peter Pumpkin story will take five minutes to tell. The children LOVE to watch what will happen when "cutting out" the house. The Old Witch story will take 3-4 minutes to tell. The storyteller should act it with great dramatic flair. 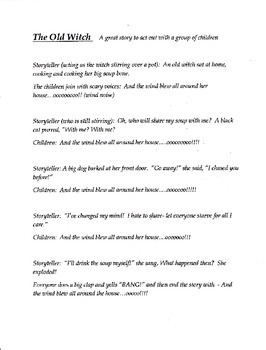 This story includes the children with the telling and they enjoy making the ooo wind sound and BANG at the end. 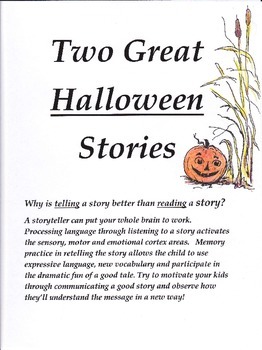 These two stories are a tradition with our school - have fun!